London Live chooses Globecast to provide satellite connectivity. 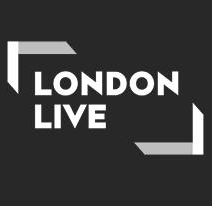 UK, March, 2014: Globecast has been chosen as the content delivery service provider for London Live, a new TV channel dedicated to London scheduled to launch on 31 March 2014. Globecast will provide turnkey connectivity for London Live, including satellite capacity and uplink, for UK subscribers of the Sky DTH satellite service. London Live will be available to Sky customers on channel 117. London Live is London’s first dedicated 24/7 TV entertainment channel, offering Londoners the latest in arts, news, current affairs, sports, and events as is part of a wider trend towards localised content. London Live is owned by ESTV. ESTV won the London television franchise auction in February 2013, launching 31st March 2014. It will be available on Freeview 8, YouView 8, Sky 117 and Virgin 159 as well as being available in non-linear digital formats. ESTV is 100 per cent owned by Lebedev Holdings.